An old Friendly’s location in Brighton. The restaurant chain’s first location was opened by Prestley and Curtis Blake in Springfield in 1935. The brothers sold double-dip ice cream cones for 5 cents each in a small shop they called Friendly, committing early on to providing “warm, caring, neighborly service to all who visit,” according to the Friendly’s website. But as the company grew, it became unable to maintain that standard of service in all of its locations. The company, FIC Restaurants Inc., has opened two new locations, in Marlborough and Merrimack, N.H., officials said. 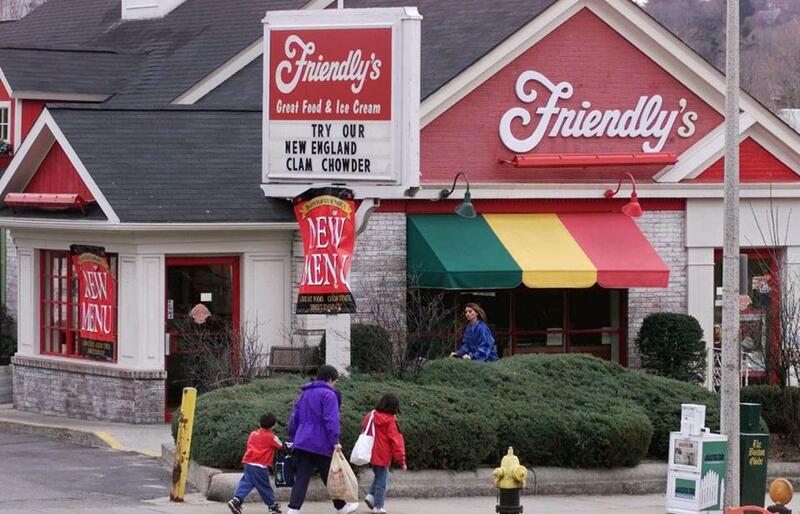 There are now 234 open Friendly’s restaurants throughout the East Coast, including 46 in Massachusetts. Many of the employees who worked at the shops that were closed on Sunday are being transferred to nearby locations. Those who did not want to be transferred are being given short-term financial assistance. “While we are sad to close our doors in these six locations, we look forward to the future of Friendly’s and continuing to explore new opportunities to enhance the customer experience,” the company said in the statement. The new restaurant in Marlborough is serving as the prototype for future Friendly’s restaurants. It has a drive-thru and “other convenient amenities for guests,” officials said.